West Conshohocken, PA, June 21, 2018 – ECBM Insurance Brokers & Consultants (www.ecbm.com) nominated Cradles to Crayons (www.cradlestocrayons.org) for the award to help the organization to reach its goal for backpacks for needy children in preparation for back to school in the fall. Helping friends and neighbors during times of need is at the core of the Westfield Insurance Foundation. Each year, Westfield independent insurance agents are invited to nominate a local nonprofit for the Legacy of Caring program. The program invests in communities and helps impact disaster recovery, family stability or safety, and programs that invest in attracting and developing talent to insurance as a career. This year, the Westfield Insurance Foundation donated more than $500,000 to neighborhoods across the country. 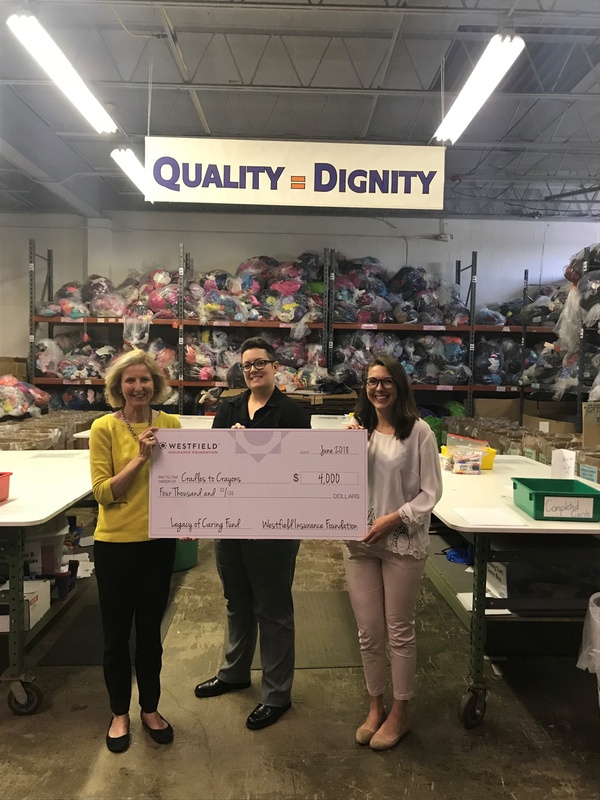 ECBM Insurance Brokers & Consultants is one of 88 agencies in 17 states donating to 95 nonprofits, including Cradles To Crayons, for the Westfield Legacy of Caring grant program. Awarding grants through the program is an extension of the fundamental role that insurance plays every day in stabilizing families, businesses and communities in times of uncertainty. Westfield is proud to work with their independent agents in distributing nearly $1.8 million in the last four years.